Sumba is a rather remote island located south of Flores in the province of Nusa Tenggara Timur (East Lesser Sunda Islands). 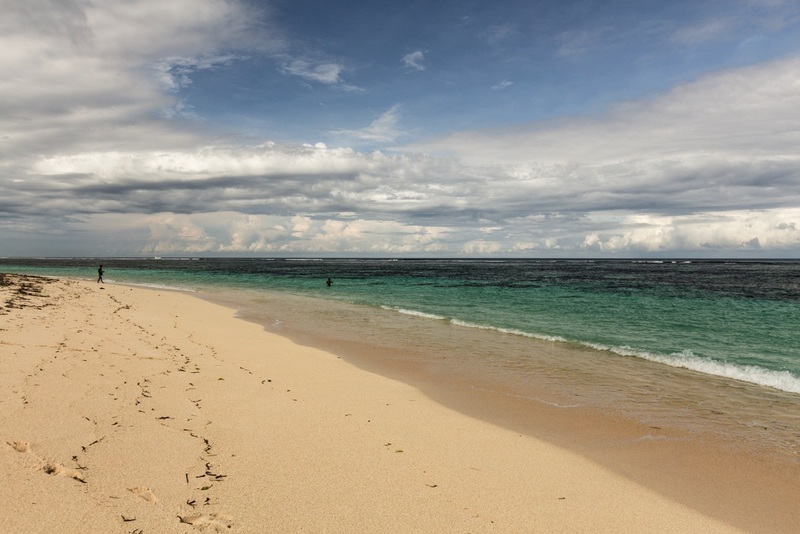 Home to a vibrant and distinctive local culture, Sumba can also boast itself about stunning and virgin beaches as well as some great sceneries. The island is well known as a great surf destination. The main spots are in Pero, Marosi and Baing. 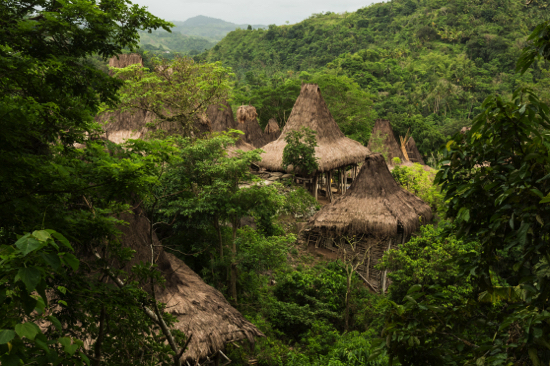 Sumba island is becoming increasingly popular among Indonesian travelers. They usually travel with a 6-15 people group to share costs and aim at covering a maximum of “Instagramable” spots in a few days: iconic landscapes, beaches, picturesque traditional villages and waterfalls. 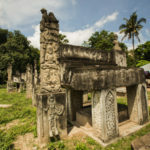 A more culture-oriented approach, mainly focused on discovering the unique traditions of the Sumbanese people. 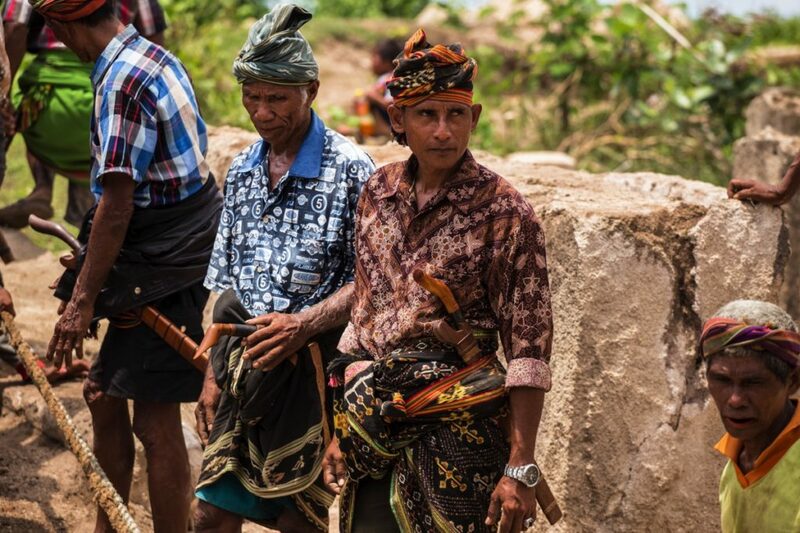 The pasola fights are only a single feature of the rich and fascinating cultural heritage of Sumba. I spent more than 3 weeks travelling the island in November-December 2017. It was memorable, I can’t wait to get back there. Modernisation is on the way and the old traditions are also evolving. Yet this is one of the most mind-boggling trip I’ve made in Indonesia. An immense shout out to Matthias, the editor of Sumba-Information website. He puts so much useful information online, a highly recommended website to browse. Gregory Forth, “Rindi: An Ethnographic Study of a Traditional Domain in East Sumba“, Martinus Nijhoff, The Hague (1981). Janet Hoskins, “The Play of Time : Kodi Perspectives on Calendars, History, and Exchange“, Berkeley : University of California Press (1993). I also had a look on the work of Keane on Analakang (1990) and Gunawan on Wanokaka (1981). I skipped Geinaert-Martin on Lamboya (1992) by lack of time and I’m still looking for the thesis of Hoskins on Kodi. Where to go in Sumba ? I’m far from having explored the whole island. I posted some pictures of what I visited in different areas. I have put most of this stuff on a map to help you navigate the island. I’ve chosen only to indicate the location of famous villages. For my next visit, I’m planning to further explore East Sumba (especially everything under Melolo) as well as Anakalang region. East Sumba is probably the least visited area of the island. Some attractions around Waingapu are popular. I found the region around Melolo (including Rindi) to be very interesting with preserved strong traditions. 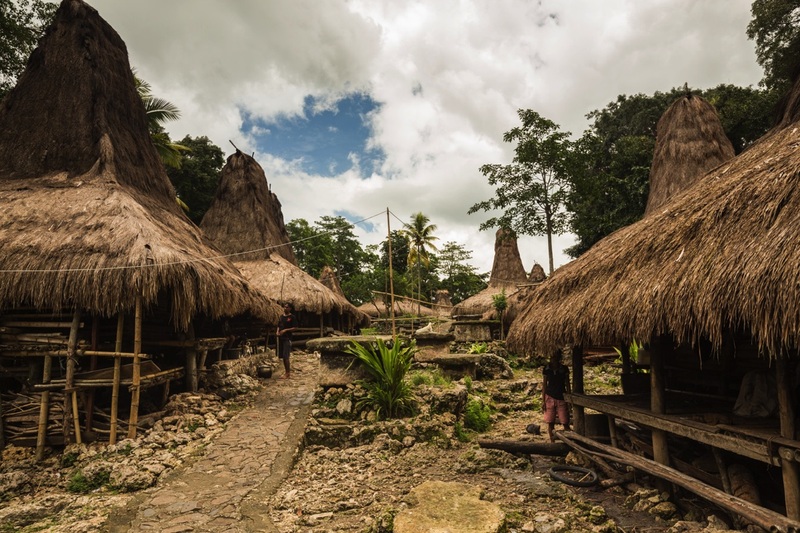 It’s probably the most convenient place in Sumba to visit traditional villages. A large numbers are within walking distance from town. Another interesting region with great villages and lots of beaches. Kodi is the most prominent of the Western Sumbanese domains. It’s also the homeground of the pasola. You are expected to follow the local etiquette when visiting a village. 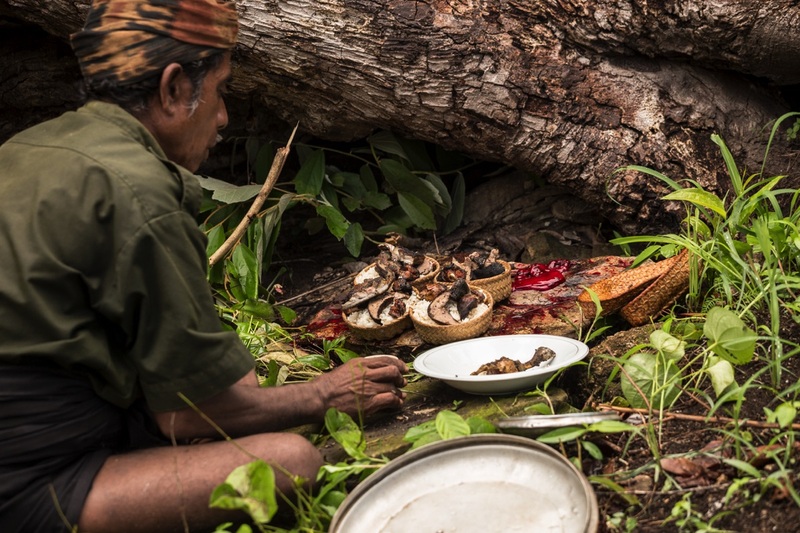 Chewing betel and areca is an essential part of sociability in Sumba, you should always have some on you. Go to any market in the main towns and buy areca nuts (pinang), betel fruits (sirih) and lime (kapur). The combination of the 3 elements is required to chew. I would buy let’s say 20’000Rp of areca and betel each, plus 10’000Rp of lime. 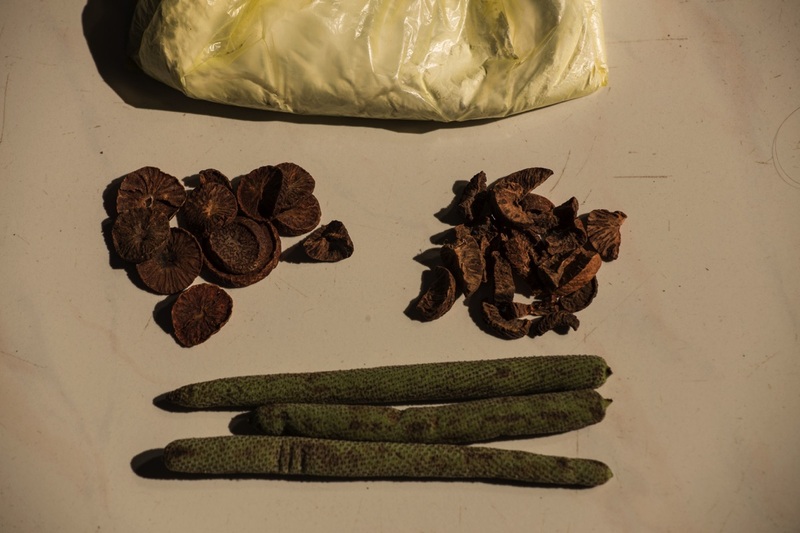 Then I would divide areca and betel into bundles of approximately 5’000-10’000Rp of value. In most of the commonly visited villages, someone will ask you to fill a guestbook upon your arrival. Write down your name, your nationality and leave a small bill in the guestbook. 10’000Rp per person is a good standard. You are then invited to sit on the front veranda and usually tea or coffee is served. It’s a good moment to offer some betel and areca you have brought (everyone have some lime at home). I felt that the adaptation to the local custom is more important than the actual gift. Still it would be very impolite to get everything you brought out of your bag, to give only a small part ; better prepare beforehands. Cigarettes are also regularly requested but I’m not a smoker and I prefer to bring something that will be consumed by everyone and not only men, so I never had cigarettes on me and it wasn’t a problem. Chewing betel is actually quite addictive. Simply do not put as much lime as they do if you don’t want to burn your entire mouth. A very important Indonesian word you should know before exploring Sumba is pemali (sometimes simply shorten up to mali) or ‘taboo’. You should always pay attention to where you put your feet when you walk. Any kind of flat stones (even very common one) could be an altar. In order to avoid any misinterpretation, always ask where you should walk. Every time you want to take a picture of something, ask someone about it first. 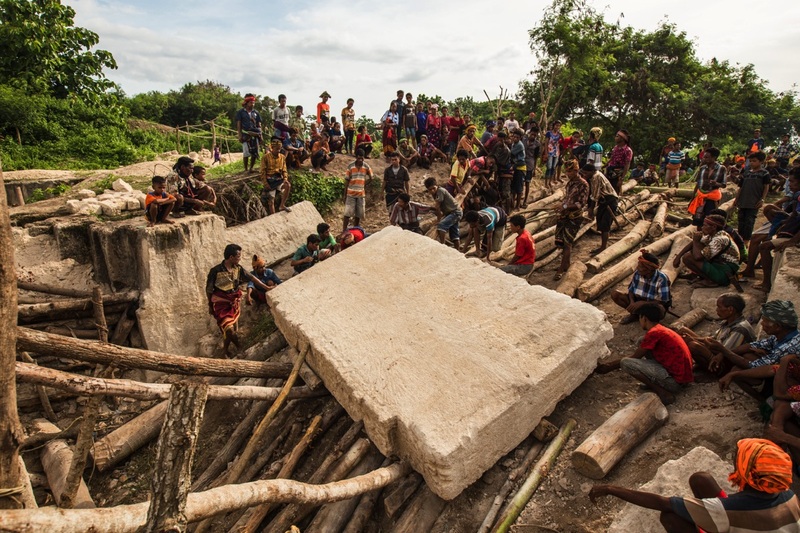 Often, villagers don’t want you to take pictures of some graves, altars or houses. Remember that they consider that those places are inhabited both by the livings and the spirits of the ancestors, which shall not be disturbed but only adressed in a very specific way. As long as you show a genuine interest in their culture and tradition, I generally found Sumbanese I met very friendly and helpful. 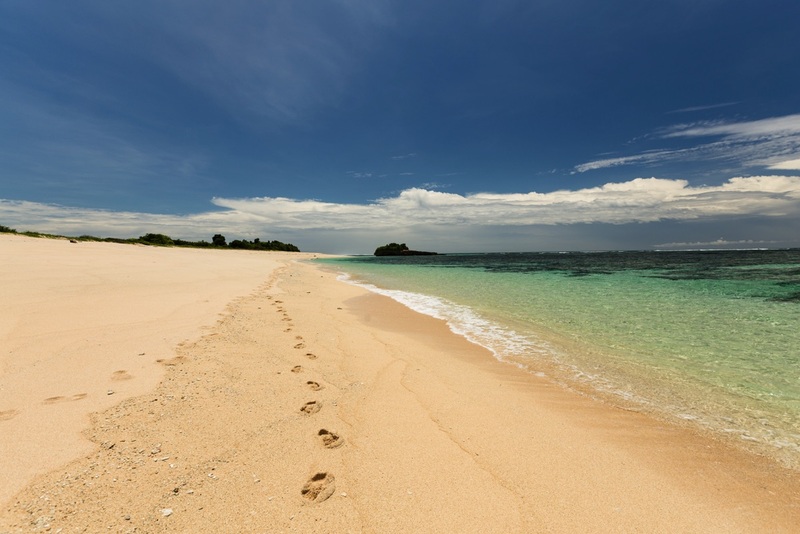 When to go to Sumba ? 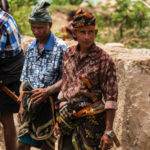 Guidebooks tend to suggest that the highlight of a trip to Sumba is to attend the pasola (different dates between February and March). But there is lot of other very interesting ritual activity throughout the year. I was in Sumba in November and December, hence at the beginning of the rainy season, and it was quite fine. I had to get shelter for 1 or 2 hours sometimes but it was an opportunity to exchange with villagers. 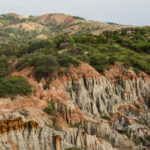 In the dry season (from May until October approximately), the East of Sumba gets extremely dry and scorched, all the green vegetation disappear. 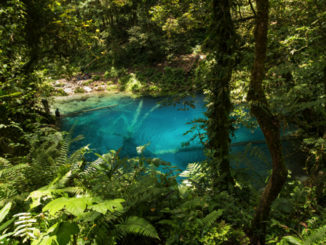 If you plan to visit some waterfalls, it’s better to go in the dry season where the water is pure blue. During the rainy season, it tends to be brown and sometimes not suitable for swimming. 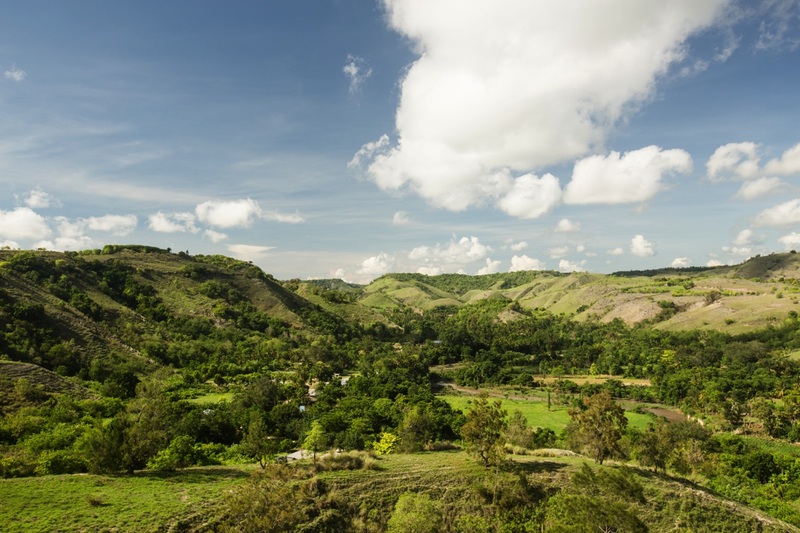 How long to stay in Sumba ? Day 3 : visit Praijing village, Lai Popu waterfall, Warinding hill. Day 5 : visit Tanarara and fly out from Waingapu. If you have only a few days ahead and want to see some characteristic villages, stunning beaches and other nice natural spots this is quite optimal. You will need you own transport though. If you intend to discover the Sumbanese culture, you will need time. There is no public schedule for ceremonies, everything I came across was by pure luck or because someone had tiped me. You need to wander around and talk with people. Without solid skills in Indonesian, a good guide could prove very useful especialy if you want to see some ritual activity. If you just want to visit Rattengaro and Praijing, you can go by yourself without a problem. There is no immigration office in Sumba, if you need to renew your visa you need to go to Kupang or Flores (Labuan Bajo or Maumere). Accomodation are rather expensive for Indonesian standards. Expect to pay a minimum of 200’000Rp for a simple room except in the main towns of Waingapu and Tambolaka. Transport between main city is easy by bus. On more secondary itineraries, there is usually one bus a day, so better check the schedule first. On short distances, I found ojek drivers to be very reasonable on their prices. Riding on the back of truck is also sometimes possible. I rented easily motorbikes in Pero and Waingapu, the daily rate is 100’000Rp. Besides those 2 places it was much more difficult. Overall I’ve rented a motorbike only 3 days out of the 22 I spent on this island, almost everything can be covered on foot and by public transport with some patience and a bit of Indonesian. 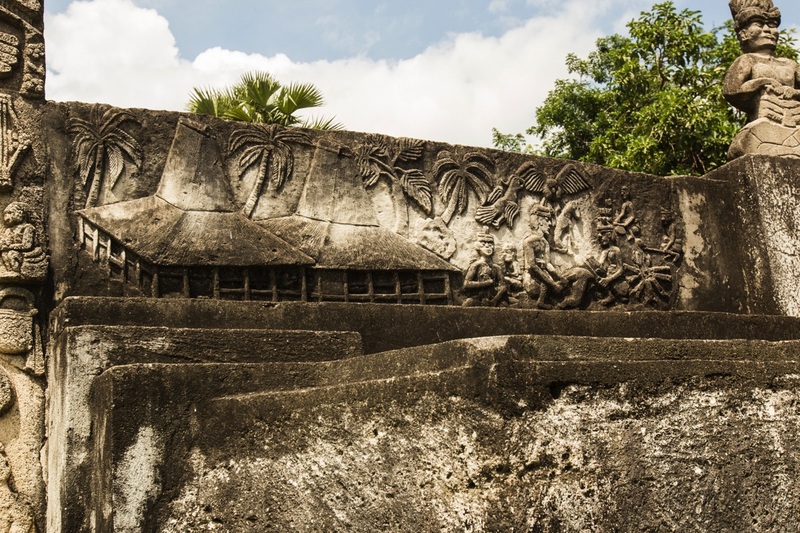 By planes, you have daily connections from Denpasar and Kupang to Tambolaka and Waingapu. 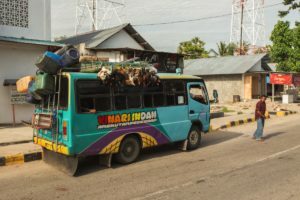 By boat, ASDP connects Welewo harbor in West Sumba to Sape (Sumbawa) and Waingapu harbor to Aimere, Sabu, Ende and Kupang. In my experience the schedule posted on ASDP website is not reliable. Send a message by Whatsapp to +62 823-4095-8883 (a staff from ASDP office in Kupang) to get the updated schedule of all boats in the province. As of December 2017, there are 3 ASDP ferries stopping in Waingapu once a week each : Inerie II, Ranaka and Uma Kalada. From Waingapu to Aimere, the fare is 80’000Rp. 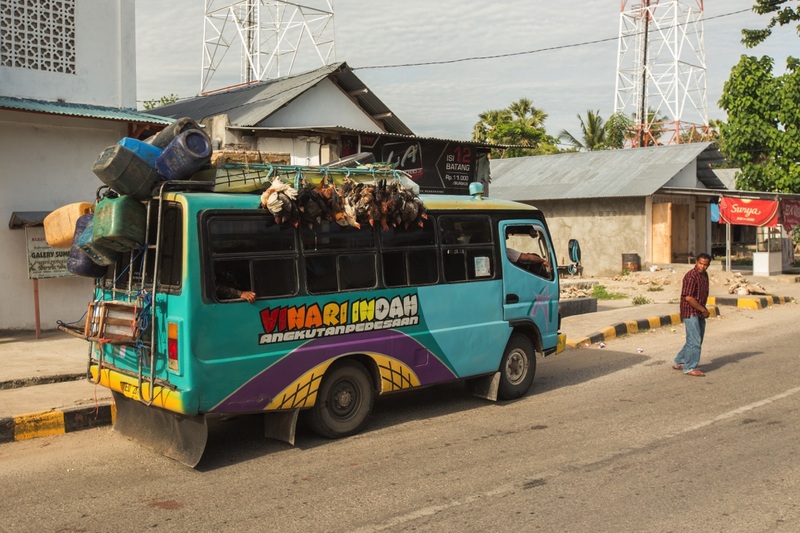 Pelni also have some ferries stopping by Sumba, the schedule posted on their website is reliable. 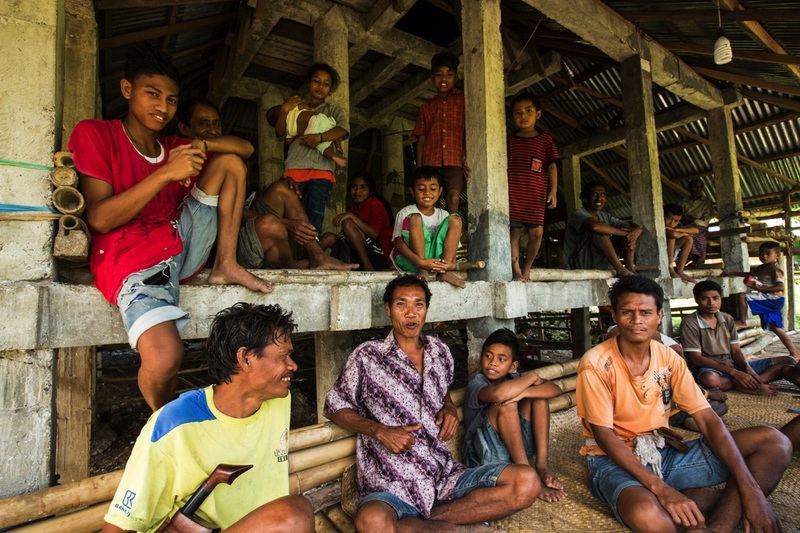 Part 1 : an introduction to Sumba. History and main features of their culture. 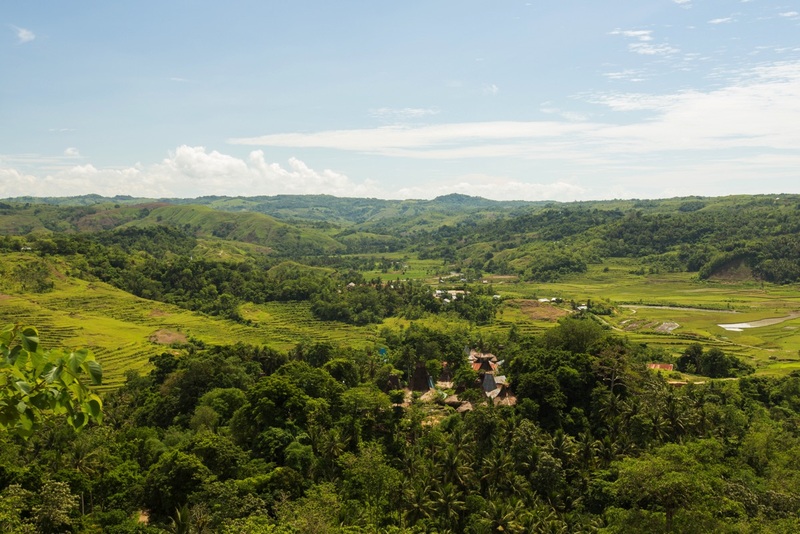 A few spots located in East Sumba, near Waingapu and Melolo. I am a French lady photographer who works as volunteer for l’Ecole Française d’Extreme Orient. I do a research on South East Asia about the traditional costumes. I ask people in the villages to show me how they weave and if they can wear their festival clothes and I take some pictures…if necessary I give them a small tip and send them the printed pictures or the files if they are on FB. If it is affordable I buy some textiles in the villages. I was a long time ago in Sumba and I was impressed by the quality of the weavings. Dear Martine. Thanks for your comment. I’m not a travel agency, just a guy who really likes Indonesia. 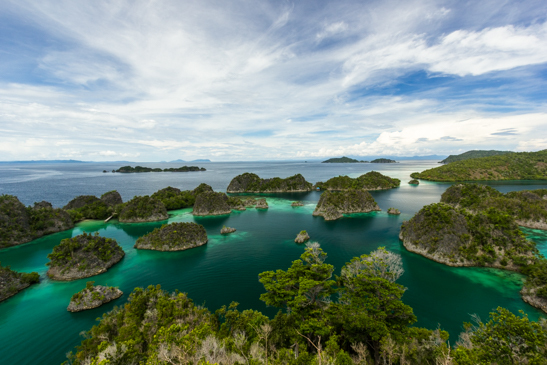 Without speaking Indonesian, I advise you to hire a local guide for such a project. Some contacts can be found on Sumba-Information.com. I agree with you that Sumba probably have the best ikat of all Indonesia, it’s my favorite along with those crafted by the Savunese and the Lionese. 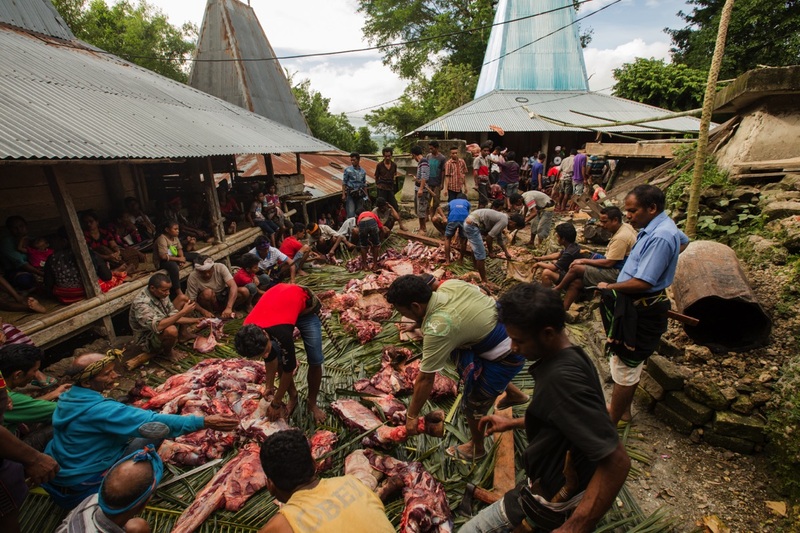 Small productions centers are scattered over the island especially in East Sumba. Shops north of Waingapu are a good place to start looking.